Dorothy Rod Bohan died on Friday, July 20, 2018 at the Paula J. Baber Hospice Home in Fort Dodge, Iowa, surrounded by her family. A Memorial service will be held at St. Thomas Aquinas Catholic Church in Webster City, Iowa, at 10:30 AM, on Tuesday, July 24, 2018. Visitation will be from 5:00 p.m. to 7:00 p.m. on Monday, July 23, 2018 at the Foster Funeral and Cremation Center. A private burial will be at a later date. Dorothy Rod was born on March 8, 1940, in Mason City, IA, the daughter of lngvald Rod and Ada Fontanini. Dorothy was raised in Des Moines, IA, where she graduated from St. Joseph Academy in 1958. She furthered her education at the University of Northern Iowa earning a BA in English and History in 1962. She then attended the University of Northern Colorado where she was awarded a MA in English and History in 1965. While attending the University of Northern Iowa she met and upon graduation married John Bohan. The couple moved to Webster City, IA, where they were both employed in the school system. 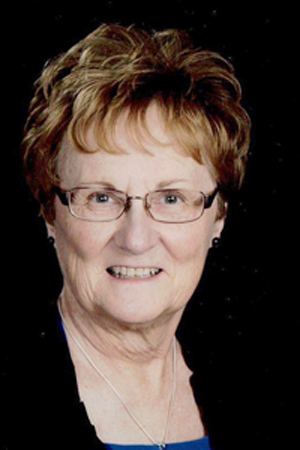 Dorothy taught 30 years in the Webster City High School and Middle School. She taught Sophomore English for six years and after her daughters were in school, she taught 8th grade English and American History for 24 years. She retired in 1998 to pursue her leisure activities of reading, yoga, and traveling. She and John visited all 50 states and more than 60 foreign countries. She is survived by John, her husband of more than 56 years, two daughters, Elizabeth (Steve) Reese of Urbandale, IA; Catherine (Wayne) Silva of Salem, MA; three grandchildren, Ana Reese, and Jack and Mia Silva; and three siblings, Beverly Irwin, West Des Moines, Susan ( Jim) Watson, Ashland, OR, and Richard (Sharon) Rod, Wheaton, IL. She was preceded in death by her parents, sister, Bernice; and brothers-in -law, Dave Ortale and Bernard Irwin, niece, Sarah Jennings, and nephew and niece Daniel and Courtney Rod. In lieu of flowers, memorials may be dedicated to Arts R Alive in Webster City or the Kendall Young Library.